When you start off your business, you have the dream to make it big and out there, with great financials, a loyal customer base and immense great. But to get there, it takes hard work, grit and the passion. Also, capital. For small businesses especially, taking on external funding is imperative. So what is business financing? Business financing is the money you require to not to continue your business but also to grow and diversify operations and expansions. Business Finance usually means external money received for your business in the form of a loan. It also includes strategies such as cash flow management, leveraging, debt repayment. While you might be thinking, your business is doing well and you do not require further financing, it might be an incorrect notion till you actually see your options. Business financing has some features which you should explore before making decisions. Business finance includes all the funds included to run the business. While you might be a new venture, established business or somewhere in between, everyone needs business financing. Along with, business finance is needed in all types of business be it manufacturing, trading, production, packaging etc. There is no set rule as to the amount of business finance to take up on nor is there the right form of business financing. You need to take up the amount and style of business financing that suits you and your business. 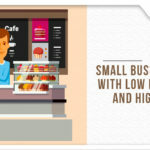 With the help of business financing you can grow your business to great bounds. Now you must be wondering, why do you need it? One of the main features of business is unpredictability. Predicting what the trend is going to be the demand for products, short term and long term financial requirements. All these predictions are very vague and based on estimation. To save your business from this uncertain risk, it is important to be financially sound and have a good strategic plan. Business financing doesn’t start and end at one sort of option. There are many different ways of business financing to suit your needs and requirements. Below are a few types of business financing that you can look up your venture. This is the most common type of business financing that comes across everyone’s mind. Business loans helps you expand your business and helps you going some external expertise about your company. While you would have never thought of this option, though using your credit card to fund your business can be a rather risky business. However, used wisely, you can be smart about your payments with a strong cash flow and good credit basis from your bank or service provider. Factoring is one of the small ways of business finances and is a very common option amongst manufacturers who require large machines but do not wish to purchase it. Factoring is a financial transaction between a business owner and a third party that provides instant cash to the former in exchange for the account receivables of the business. In other words, a cash-strapped business, unable to get desperately needed funds, sells off its invoices, that are called account receivables, to a third party and in exchange, gets the much needed cash. Friends and family can be a great source of business financing if you are not looking out to venture into external sources of finance. However borrowing from friends and family can sometimes be a tricky business and hence a formal or written agreement must be established so as to not have any bad blood later on during the term. P2P is now of the most common ways of lending money. People with excess money lend to people in need of money via a portal, with a legal contract drawn up and interest covered. You do not necessarily need to know the opposite end of the party. In India, the regulations for P2P lending are still under process. Funding a loan from the bank can be a tedious process, along with, time consuming. Micro-financing loans have come into the picture to ease the loan cycle for small and medium enterprises. Retain Control – With taking on external help, you have outside expertises that can advice you on what to do and how but still have no control or authority. Tax Exempt – Interest paid on debt financing is text exempt, helping you save further money. Liquidity – You do not have to worry about liquidity to run the business but now can concentrate on growth and diversification. Financial Planning – With the help of finance available, you can predict your expenses for the coming tenure and make a financial plan suitable for your business. Focus on which areas on your business need to grow and how much capital is required. Evaluate the different financing options available and see where business lies in terms like loam amount, duration, interest payment capabilities. Talk to expertise of different business financing options and take their advice on. Determine what all documents you require and see if you have them in place for each option. Find out the interest charges in different options and see if collateral is required. Do a beta stimulation test on different financing options on paper and see what works the best for your firm. 1) 48 hours – Loans are always complemented with a long tedious process. At flexiloans we approve loans within 48 hours of application, cutting out the entire cumbersome process. 2) Paperless – Submit all your documents online, hassle free and completely paperless. 3) Transparent – No hidden fees or charges, the entire process is transparent. 4) Collateral Free – Borrowers usually refrain from loans due to high collaterals. We provide collateral free loans to all our borrowers. 5) Secured – In today’s age of data breach and scandal, our process is 100% safe and your data is completely secured. Am interested our company business, dsa agency mentioned past three years , a need dsa Villupuram.